That quote has been made even more famous this week with the loss of Professor Stephen Hawkins. The truth is that I have always loved looking at the stars. Whenever life troubles seem so big an evening outdoors looking up at the greatness and vastness of space seems to make all my problems melt away. 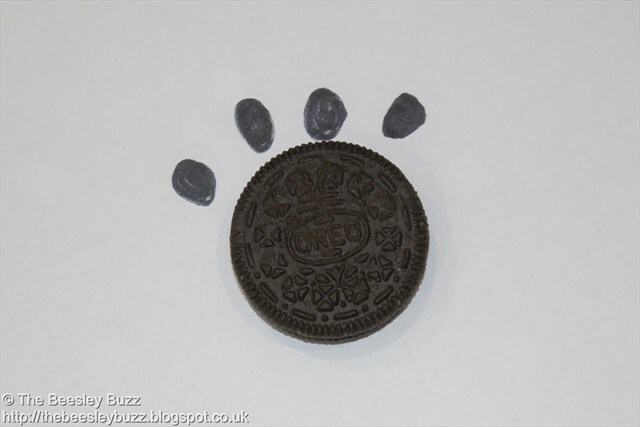 In support of the current on-pack promotion, The Great Oreo Cookie Quest, Oreo have challenged bloggers to share their own wonder-filled adventures with the #OreoCookieQuest hashtag. 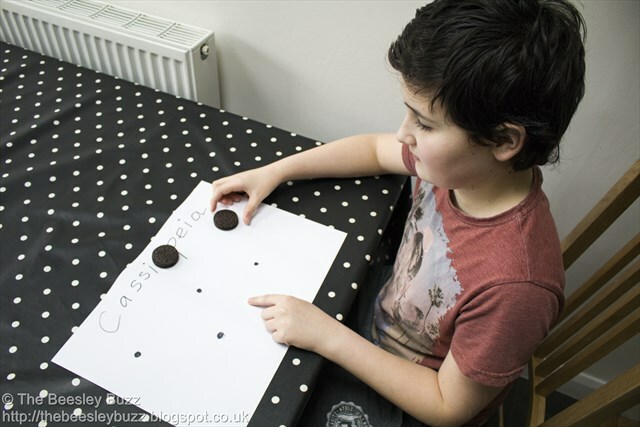 Our family have always enjoyed a good treasure hunt whether it is looking for eggs at Easter or the educational treasure hunts I used to set up in the years we were homeschooling. We've enjoyed many wonder-filled days out visiting museums, observatories and monuments too. As the boys have grown older, J now a teenager and D nearly a teen too, it has become increasingly difficult to fill their days with wonder and drag them away from their computer games. But the one thing that we can do together as a family that never ceases to amaze them (and us) is our own stargazing adventures. We had one such night planned - with telescope and hot chocolate at the ready. Along with Oreos to dip and dunk into our hot chocolate. Winter often provides some of the clearest nights for stargazing but tonight's adventures were thwarted with snow clouds up above leaving visibility low. But it made me realise that snow itself is another wonder-filled adventure. 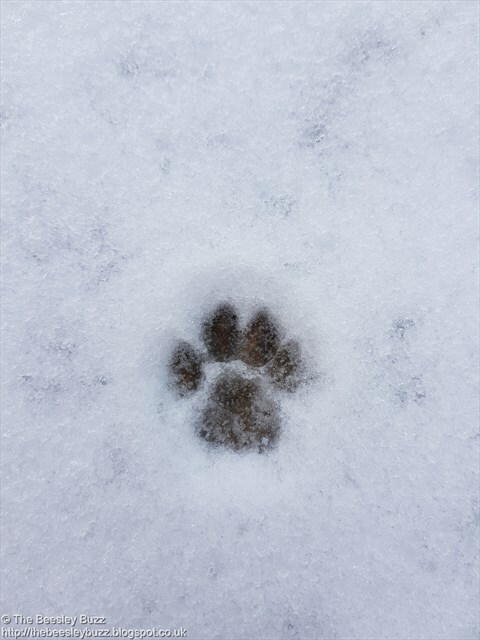 How rare it is (we hadn't had a proper snowfall where we live for 6 years! ), how pure it is, how beautiful it is. The uniqueness of each snowflake. Just as we can stargaze into the dark sky at night and spot more and more stars each time we look as our eyes adjust to create this gigantic stunning canvas of beauty in the night sky, as the snow falls flake by flake it also creates a wonderful winterland scene like looking out onto a painting. 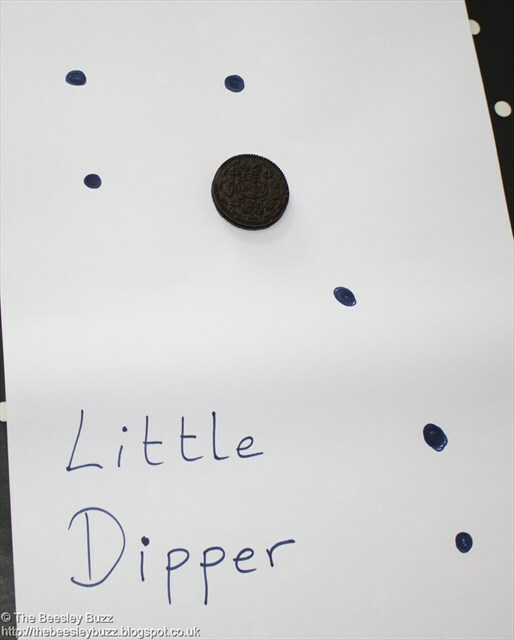 So, after playing in the snow, we used our indoor time warming up whilst doing a Stargazing themed Oreo cookie quest. 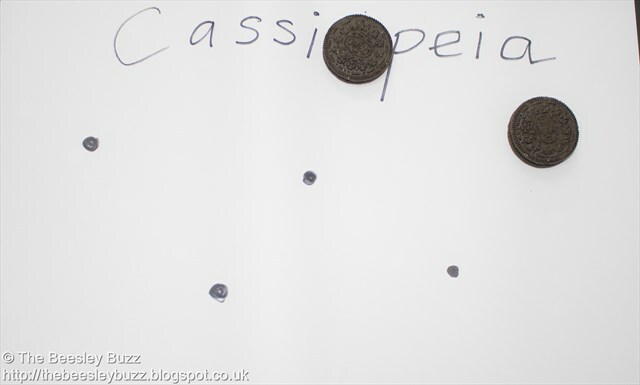 We plotted a few simple constellations that we've often seen in the night sky leaving one of the crucial stars out. 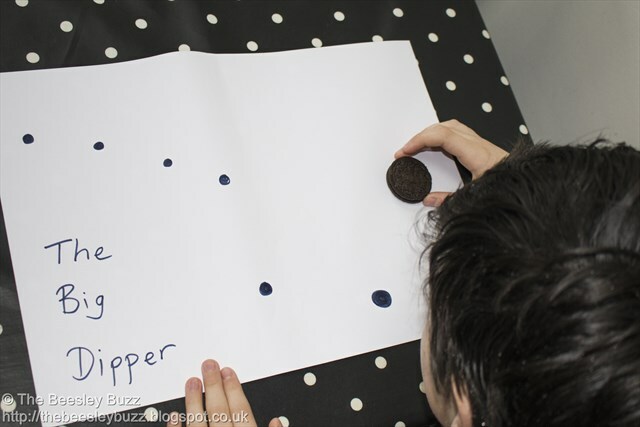 The kids had to find where the missing star would go and fill in the gap with an Oreo. 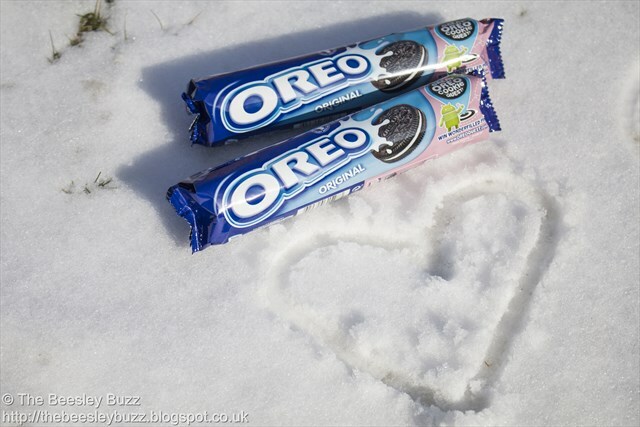 Then arty D carried on the fun with some snowy themed pictures incorporating Oreos! 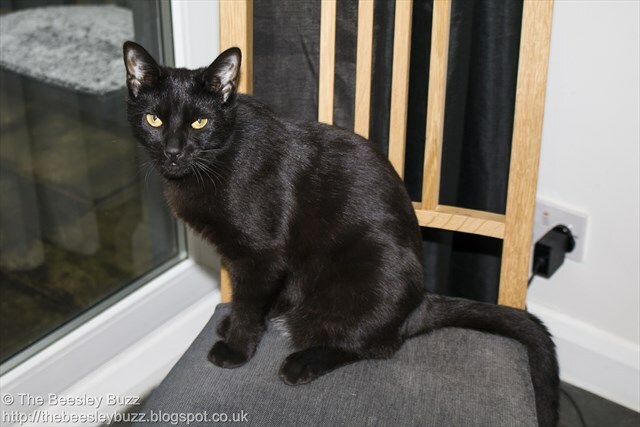 We love stars so much that we even named our cat 'Star'. If you've never tried stargazing before, I'd thoroughly recommend it. We do have a telescope which has enabled the kids to see Jupiter and some of its moons. Even without a telescope, the moon's features can be seen really well with a good pair of binoculars. With the naked eye shooting stars can be seen - especially as certain times of year when there are meteor showers (e.g. August's Perseid's meteor shower). You can also spot the space station orbiting the earth at dawn and dusk at certain times (find out more here). There are also several apps available that can help you identify the names of planets and stars so when you spot a particularly bright star in the sky, pointing your phone or tablet at it will show you what planet or star it is using one of these apps. One final tip for stargazing...If at all possible head away from town and into the countryside where there is less light pollution and suddenly as if by magic thousands more stars are visible. 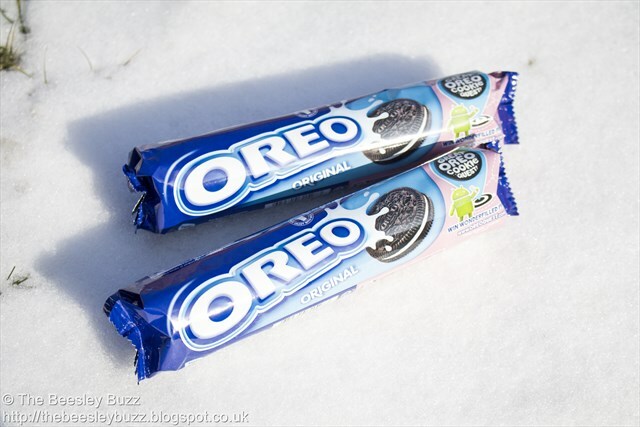 So whether your wonderfilled adventures are in snow or in the stars there is much to be learnt and lots of fun to be had with Oreos. 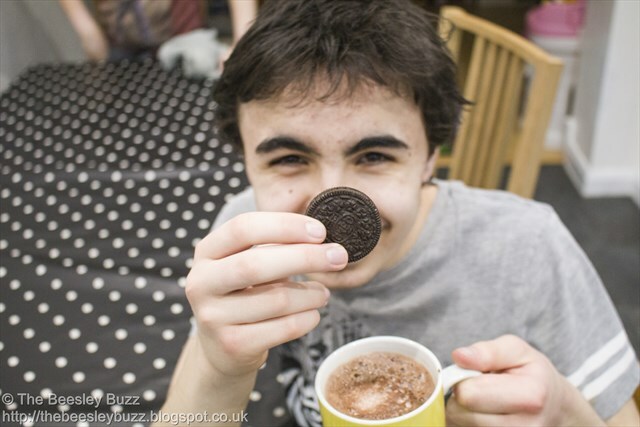 This post is an entry for BritMums #OreoCookieQuest, sponsored by Oreo. 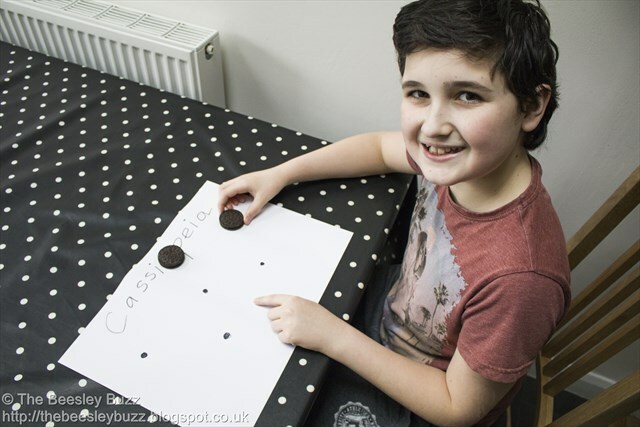 You can find out more about the #OreoCookieQuest here and find out how to take part in The Great Oreo Cookie quest currently featured on promotional packs of Oreos. Once again I've fallen behind on getting my updates up here. Here's week 5. 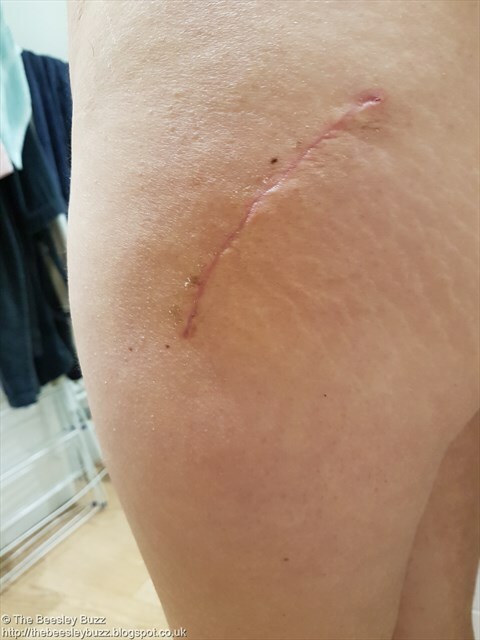 Yesterday (Tuesday 27th February) was the 5 week milestone after my total hip replacement. I had my physio session on Monday- she was pleased with my progress although advised to continue with the stick for outdoors even though I'm managing without it indoors. I was limping more without the stick- she thinks that could be because of how long things had been ‘wrong’ with my hip before. I'm more stable on steps- again managing without the stick when at home. I feel like gradually a kind of normality and routine to life is happening as I'm rarely having to have a day time rest on the bed and I tried the school run alongside Richard a couple of times. However all this ‘normality’ is wiping me out. In general if I'm having a relaxed day I don't need that bed rest, but on busy days I find I really do need it. Sleep has been better since the weekend. I've been getting a big chunk of about 4 hours sleep which is brilliant compared to the hourly waking I had before. I'm doing my physio exercises twice daily and it's getting quite tough as it takes ages to run through all of them and with a new exercise added in (straight leg raise and hold x 10 secs for 10 reps while lying down) - it is hoped that will strengthen the muscle/ligament that has really been weak over the past 30 years and help me be able to get my leg to a 90 degree angle and eventually beyond. I generally feel like my leg has the strength for driving but until I can get that angle improved I won't feel happy. So that is my priority this week so that the surgeon will give me the go ahead for driving at the 6 week check next week. Finished my course if xaralto blood thinners on Monday- hurrah! The big setback this week has been the snow making it dangerous to venture outside in case of slips and possible dislocation. 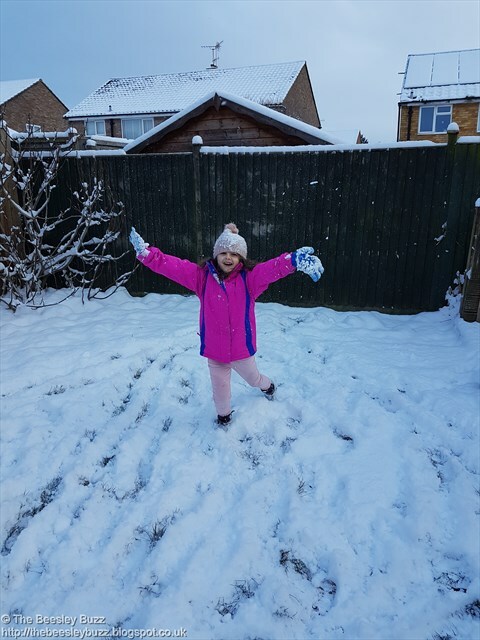 This is day 2 of the snow and I'm really pleased for Miss T as its her first experience of proper snow since she was a baby. I just feel annoyed that I can't properly enjoy it with her although I have ventured into the back garden each day onto fresh snowfall as that is less dangerous than when it gets icy. I'm off all meds now. I was concerned whilst on xarelto that my period would be awful after reading horror stories online with people being hospitalised with blood transfusions etc but thankfully my fears did not materialise. I had one bad day but the rest was ok. Overall a good week - In someways feeling pleased with progress and in other ways wishing progress was faster.